The LC Choral Union and Chamber Orchestra will present the ninth annual performance of Handel’s Messiah on Friday, December 2, at 7:30 p.m. at Heritage Baptist Church. Dr. Jong Kim, professor of music and director of choral activities/vocal studies, will conduct the performance, which will feature guest soloists, Penelope Shumate, soprano; Carol Wilson Hill ’82, mezzo-soprano; Christopher Swanson, tenor; and Derrick Thompson ’08, baritone. Watch to an excerpt from last year’s performance. Tickets for the performance are $10 and are available at the University of Lynchburg Bookstore, Givens Books, and Aylor’s Farm and Garden. Penelope Shumate has appeared as soprano soloist in Carmina Burana, Messiah, St. Nicolai Mass, and Coronation Mass at Carnegie Hall and has performed the title role in Naughty Marietta at Lincoln Center. She also has sung with Baltimore Opera, Opera Roanoke, Lake George Opera, Des Moines Metro Opera, Utah Festival Opera, Ash Lawn Opera, Berkshire Choral Festival, Jacksonville Lyric Opera, The Chamber Orchestra of Philadelphia, Little Orchestra Society of New York City, MidAmerica Productions, Glens Falls Symphony Orchestra, Luzerne Music Festival, and the Kennett Symphony Orchestra. 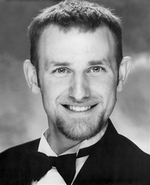 Shumate is an award winner with the Gerda Lissner Foundation, Marie E. Crump Vocal Arts Competition, MacAllister Awards, New Jersey Association of Verismo Opera Vocal Competition, Annapolis Opera Vocal Competition, Octave Artist Management Excellence in Arts, James Parkinson Opera Competition, Kennett Symphony Orchestra Vocal Competition, and the Altamura/Caruso International Vocal Competition. Carol Wilson Hill ’82 attended The Southern Baptist Theological Seminary in Louisville, Kentucky, where she completed her master of church music in 1984 and a doctor of music ministry in 1994. From 1986-2002, she served the seminary as a music professor and in 1998 also served as the Equatorial Baptist Theological Seminary music department coordinator in Belém, Pará, Brazil. In her final two years in the country, she was invited to teach as an adjunct professor of voice at the Carlos Gomes Conservatory of Music, also in Belém. In 2003, Dr. Hill joined Liberty University in Lynchburg as associate professor of voice and worship studies, and since August 2005, she has served as minister of music at Chestnut Hill Baptist Church, also in Lynchburg. Throughout her singing career, Dr. Hill has had numerous opportunities to perform as a recitalist, soloist with choral ensembles, and has performed in various roles of opera scenes and musical theater. 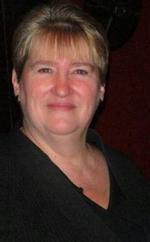 She recently completed the doctor of musical arts in vocal performance at Shenandoah University, Winchester, Virginia. She was the vocalist graduate winner of the annual Shenandoah University Soloists Competition and consequently had the opportunity to sing with the University Orchestra in its concert in March 2008. Christopher Swanson has appeared as tenor soloist in three other Choral Union concerts, including Carmina Burana, Messiah, and Judas Maccabaeus. A Michigan native, he has been a member of the music faculty at Longwood University since 2003 where he teaches applied voice and song literature and directs the Opera Workshop. He also instructs sections of sight-singing and music appreciation. He has performed leading roles in such operas as The Turn of the Screw, The Rake’s Progress, Die Zauberflöte, Così Fan Tutte, Robert Ward’s The Crucible, and numerous operettas by Gilbert and Sullivan. He also has performed as soloist for several Bach cantatas and numerous oratorios. Swanson holds degrees in music from Michigan State University and the University of Tennessee, Knoxville, and a doctorate in music from Florida State University. 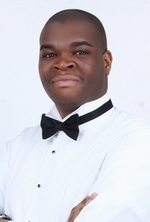 Derrick Thompson is a 2008 graduate of University of Lynchburg with a BA degree in vocal music education and an MA in music from Morgan State University. A recitalist, chamber musician, and operatic performer, Thompson made his professional debut in 2007 with Opera on the James as the Duke in Gounod’s Romeo et Juliette. Recent performances include the roles of Ben in Menotti’s The Telephone, Prince Torado in Dunbar’s Dream Lovers, bass soloist for Beethoven’s Mass in C Major, King Balthazzar and the Page in Amahl and the Night Visitors. During the 2010-2011 season, Thompson served as artistic director of the Tianjin Concert Halls Mulan Children’s Choir (China) and made his debut as soloist with the International Festival Chorus (Beijing) and Peking Sinfonietta.